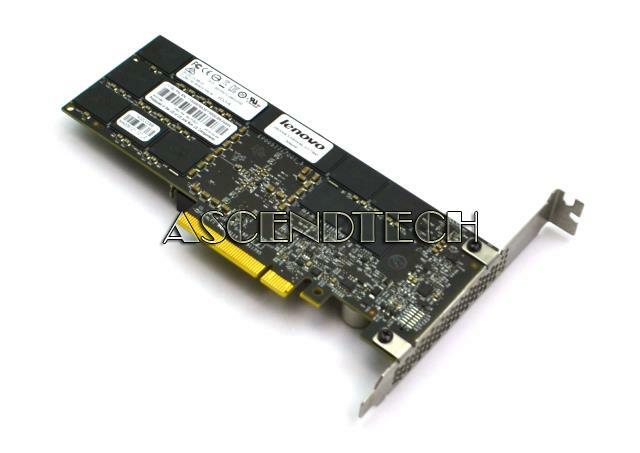 Sandisk Fusion ioMemory PX600 Accelerator 2600GB 2.6TB PCI Express Card / Enterprise io3 Flash Adapter. Engineered for application acceleration, the Enterprise io3 PCIe Flash Adapters for Lenovo servers can help deliver higher performance than typical solid-state devices at a fraction of the cost and space, which makes them a perfect fit for a broad range of applications, including database and cloud applications, big data analytics, and hyperscale data center workloads. Delivering high speed, low latency, and high efficiency, this new third-generation line of flash adapters brings scalable and optimized performance to distributed scale-out architectures at low cost. These adapters are designed primarily for servers and computing appliances to maximize compute efficiency while providing the added benefits of lower power and cooling costs, low management impact, and smaller storage footprints. 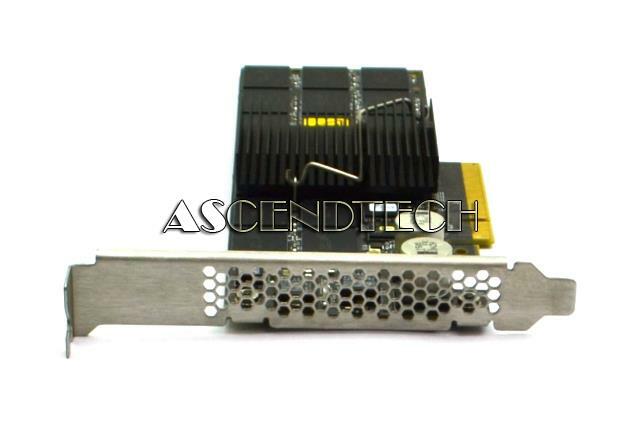 Based on the Fusion ioMemory PX600 adapter with silicon-based NAND clustering storage technology, the Enterprise io3 PCIe Flash Adapters offer cost-effective Multi-Level Cell (MLC) technology in standard PCIe form factors. These adapters use NAND flash memory as the basic building block of solid-state storage and contain no moving parts, so they are less sensitive to issues that are associated with vibration, noise, and mechanical failure. These adapters are built as block devices on a PCIe bus with advanced wear-leveling, ECC and chip-level fault tolerance, which provides exceptional reliability and efficiency. - Up to 5.2 TB of solid-state storage in an industry-standard PCIe form factor. - High-density design with cost-effective MLC NAND technology reduces storage footprint. 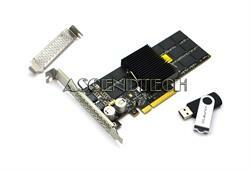 - Functions as a PCIe storage and controller device. The operating system sees a block device.